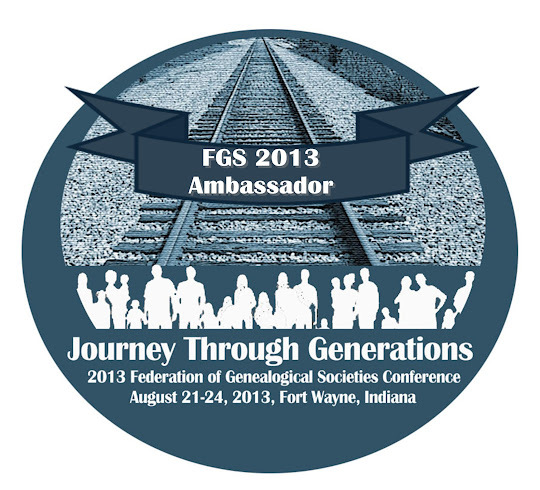 Big announcement today from the Illinois Genealogical Society (ISGS). In less than six months, ISGS received $10,000 in contributions from individuals and organizations, which ISGS then matched, making it $20,000. Ancestry.com will then match that amount, making it a total of $40,000. What an amazing job! If you’d like to contribute to the Preserve the Pensions project, you can do so by visiting http://www.preservethepensions.org. Bounty Land Warrant Application Files being digitized over the next few months. already viewable by visiting http://go.fold3.com/1812pensions. development of the State of Illinois. and groups who lived in Illinois and to events which took place therein. (http://www.twitter.com/ILgensoc) and on our blog at http://ilgensoc.blogspot.com.